Now comes official word fr om Central City Productions that the Stellar Music Awards will celebrate its 30th Anniversary in the city of Las Vegas, Nevada. In addition, the 2015 awards show will be held on March 28th moving from its original January date. The venue for the event is the Orleans Arena. 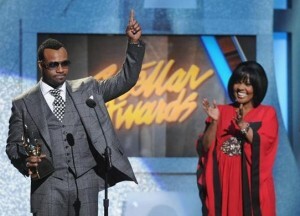 For additional details, check out the Stellar Awards official website. This entry was posted on Wednesday, July 23rd, 2014 at 2:10 pm	and is filed under Stellar Awards. You can follow any responses to this entry through the RSS 2.0 feed. You can leave a response, or trackback from your own site.